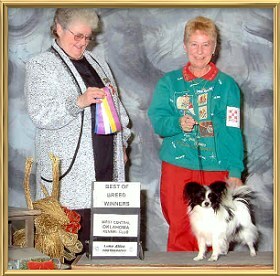 Welcome to the page for that special class from Logansport, Indiana. were spectacular. How about the '57 Chevy or the '57 Ford? They are classics to this day, just like the classmates of that year. 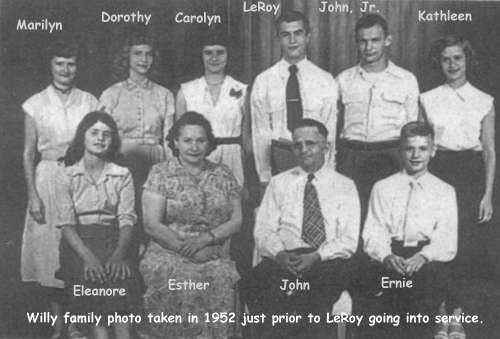 This page is being provided by a group of classmates who wanted a web presence for the LHS Class of '57 . 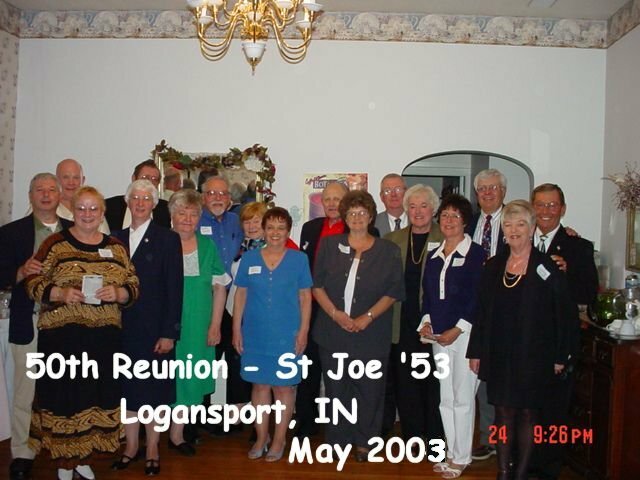 Here is the link to the LHS CLASS OF '57 private Facebook Group. This site is only accessible if you belong to Facebook. 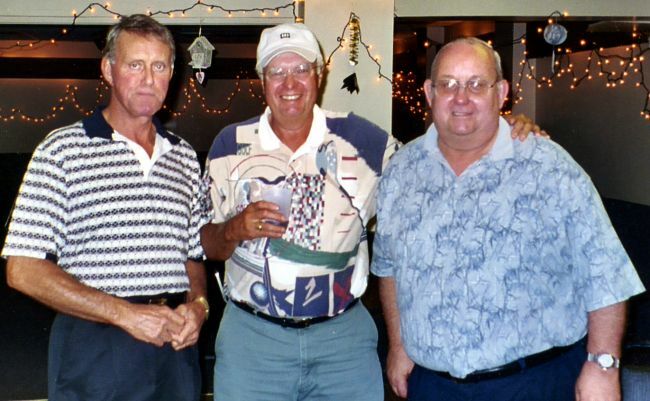 Read a recap of the 50th Reunion held in 2007.
who took lots of photos to share with all. Be sure to check them out soon. Every 3rd Tuesday of each month at 6:00 P.M. at Silver Lake Restaurant (formerly Whitmyers - just east of B&K). All classmates (& spouses or guest) are invited. For those who don't live close, if you come to the area to visit; we would love to see you again. Maybe you could plan to come to Logansport the 3rd week of the month so you could attend sometime. This is very informal! Call Barb at 574-753-8714 or email me for current location - or to get together whenever you are here - regardless of the date. n May 24. 2003 for their "Family Photo"
Picture provided by Pat Wolf Loner and date corrected by Rose Caldwell Cabrell's husband Ron. prior to our reunion. But everyone else except PHIL Berndt made it. Sure was fun." going to the games and cheering the Berries to victory. from various sources about some of the games. If you have something you'd like added, contact Tom Castaldi. Rex Shuey, Jr, has his most recent novel available for us. After nearly a quarter of a century in the U.S. Army, author Rex W. Shuey, Jr., retired as a Sergeant Major and is now living in Italy with his Italian-born wife, Maria. Shuey was born in Torrington, Wyoming and raised and educated in Indiana, graduating from Logansport High School in 1957. He entered the U.S. Army in 1962 as a Military Policeman, and served in South Korea, Germany, and Italy, in addition to the United States. He graduated from the Sergeants Major Academy in 1980, and obtained an Associate in General Studies from Central Texas College. Try this picture of the 7th grade at Riley Jr. High. Here is a 1952 picture of Eleanor Willy Winegardner and her family . 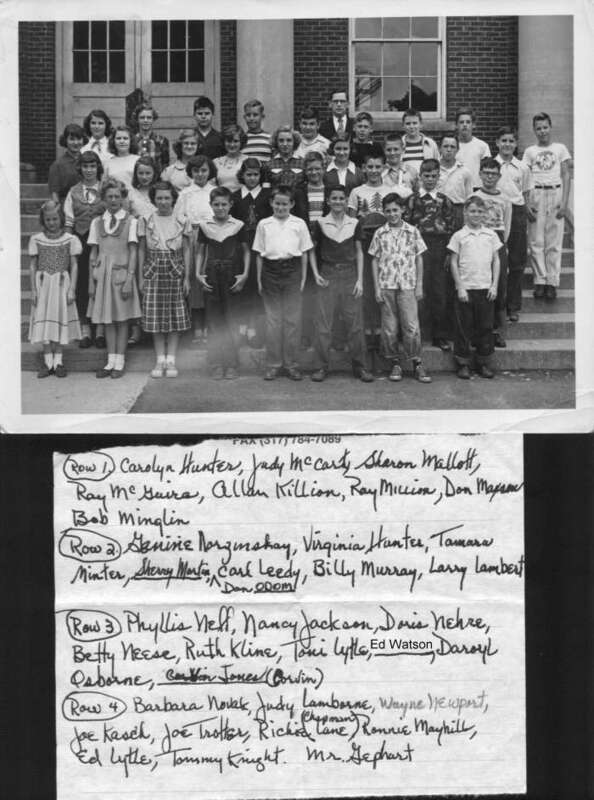 Remember these Saint Bridget's students of '52/'53 (LHS '56/'57)? And what family could boast 13 children, one for each class? Carolyn Bailey sent in this photo of Daniel Webster girls in 6th grade. so the Memorial Page is provided. See the Memorial Page for pictures and other available information of classmates who have died. Memorial Page, please let us know. can be found on a new page. so that when someone first finds the page they can catch up. please send an e-mail and we'll see what we can do to help. You may e-mail Tom Castaldi or Barb Davis Dingeldein with your requests. Once a Berry, always a Berry! !